That’s not entirely fair—some firms do enter customers into competitions, especially when Christmas is coming up. But when was the last time you heard of someone winning a $500 Amazon gift card and it wasn’t a scam? 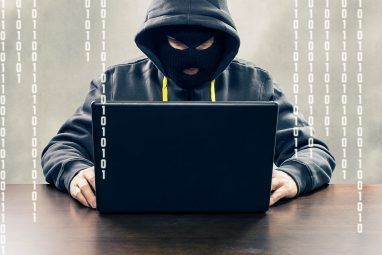 Here are a few questions you should ask yourself before clicking any links and becoming a victim of cybercriminals. 1. Is the Email Account Genuine? Fraudsters use gift card scams because they’re evergreen, and can yield a lot of cash without much effort. They don’t bother promising gift cards for small stores few have heard of: they aim for the big names like Amazon and eBay! They can guarantee that a large number of recipients are customers of the site and are more likely to fall for the scam. So, if your inbox says you’ve got an email from “Amazon Gift Cards”, how do you know that it’s fake? Look at the email address it’s come from. Most people overlook this, or quickly glance and miss the obvious. In reality, it might read “amzon.com”—something close enough to trick most users. Similarly, you shouldn’t trust addresses like “ebaydotcom”. Don’t click on the link, or indeed any elements within the email. This won’t tell you anything; instead, it could download malicious software to your device. Scammers sometimes redirect to the genuine site anyway, making victims relax and not realize they’ve downloaded malware. 2. Are the Images Pixelated? Here’s an indicator that not everything is as it seems: images might be pixelated on different devices, as scammers don’t always use high-quality pictures. This extends to logos. Big-name companies won’t send pixelated versions of their own brands. If elements appear fuzzy, it’s likely the scammer has stolen a low-resolution logo from the internet. If images won’t load, this is a sign the message could be fraudulent, but isn’t a certainty. That could simply be due to connectivity issues. However, the opposite is true too: just because pictures are HD, it doesn’t mean an email is real. Take a look on Google and you’ll find large files containing all manner of corporate logos. If you can find it online, so can cybercriminals. 3. Are There Spelling and Punctuation Mistakes? This applies to supposed competitions via email and social media, as well as on any websites they link to. Any company worth its salt will employ a copy writer or editor to make sure their communications are well-written. It’s a level of professionalism that scammers don’t bother with. You don’t need a degree in Creative Writing to recognize poor spelling and grammar. If a Facebook profile boasts that you can “WIN FREE GIFT CARDS!!!1! !”, don’t trust it. eBay doesn’t tend to use hyperbolic punctuation either. If its About page uses similarly questionable copy, don’t even bother “liking” the page. Regional differences may apply too: if you’re a customer of Amazon UK, for instance, don’t expect a message with Americanisms purporting to be from Amazon.com. 4. Does It Require Unnecessary Personal Details? Fraudsters don’t always rely on you clicking on links to scam people. Ransomware can be installed onto your computer, but many happily volunteer their private details anyway. You might be redirected to a login page that looks a lot like the real thing. You’ll enter your username and password—a big mistake. But even if you don’t type in your password, that doesn’t mean you shouldn’t value other details. So ask yourself: why would they need your social security number? Why does it ask for your date of birth? What information does the company it’s purporting to be from already have about you? Consider what details a genuine competition actually needs. Simply “liking” a page on Facebook can be dangerous. “Like” farming scams encourage you to share posts to win gift cards and other free goodies. 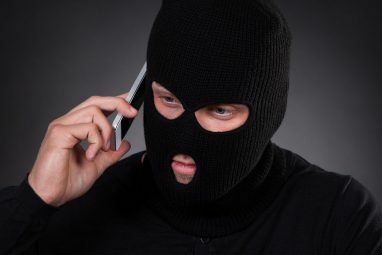 These are popular Black Friday and Christmas scams 7 Scams to Watch Out for on Black Friday and Cyber Monday 7 Scams to Watch Out for on Black Friday and Cyber Monday While you shop for deals this Black Friday and Cyber Monday, scammers will be looking for YOU. Here's how to shop safely online. Read More . 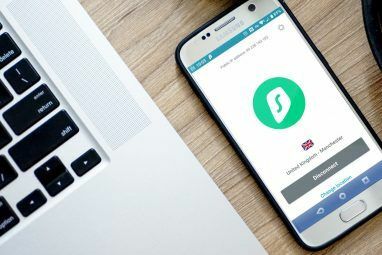 You risk your usernames, financial information, and other personal data stored in associated apps like WhatsApp and Instagram. 5. Is the Message Personalized? It’s lovely that your aunt and uncle have sent you a message about winning a gift card by simply clicking on a link or retweeting a post. Now that you come to think of it, though… why don’t they talk like normal human beings? Cybercriminals use impersonal messages to perpetuate a scam because it’d be a bit too strange if they addressed them all to “Chris” or “Emma”. It’s also a tell-tale sign that it’s not really from someone you care about. Some scams will be directly aimed at you, using your email address and username to appear personal. But you should still recognize when a relative isn’t using their normal syntax. If you read it and something doesn’t feel right, trust your instincts. 6. Do You Know of Any Previous Winners? The answer is, once more, “no”. It’s incredibly unlikely that your family or friends have won a free gift card via social media. When have you ever known a genuine claim? Occasionally, companies do offer free gifts including cards, so you can’t immediately discount them. There should still be lists of winners, though. When MakeUseOf runs competitions, we publish the names of the winners as proof that they’re authentic. Other sites should do the same. If they can’t prove that visitors benefited from a giveaway, why should you trust them? There is a difference between genuine winners and the type of comments you’ll find on social media though. You’ll notice fake accounts saying things like, “THANK YOU, WALMART!!! I WON $500 AND HELPED ME PAY FOR XMAS!” Yes, they’ll likely be in all capital letters and use poor grammar. Fraudsters post these in an attempt to verify their scam; instead, they’re a sign it’s fake. That’s not to say you should ignore Twitter and other social networks. Plenty of feeds highlight scams to alert their followers. Never underestimate disgruntled tweets. 7. Does It Sound Too Good to Be True? Here’s one last tip which should apply to everything you do online: ask yourself whether something is too good to be true. If you’ve got doubts, listen to your gut. Do not click on links in emails. Stay skeptical when you visit Facebook and Twitter. Gift card scams are particularly popular right now, partly because they’re harder to trace than fraud involving credit cards. 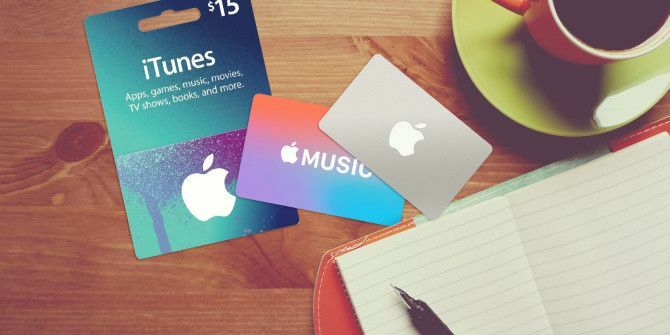 That’s why cybercriminals are tricking people into purchasing iTunes cards Don't Fall for This iTunes Gift Card Scam Don't Fall for This iTunes Gift Card Scam Police are warning people across America and Europe about a new scam that tricks you or your loved ones into buying Apple gift cards. How can you avoid it? And should you really be concerned? Read More . Explore more about: Gift Cards, Online Security, Scams. I actually reachieved one of the pop-ups randomly from this article. First it said that I won a free 1000 gift card, and when I tried to go back, it was a giveaway for iPhone Xs, apparently. I searched this up because I was just on memecenter.com and I got a random pop up add that said You have been chosen to win a free 1K Amazon Gift Card! And then it gave me like 30 surveys. I stopped when I got on the 3 one. Do you think it was a scam, or do you think it was legit and I just lost a very good chance at becoming rich in some way? I always get the same link of free one thousand dollar gift cards either to Walmart amazon or a Visa card and I just ignore them are they real? Another tip regarding these scam sites: they sometimes first-direct to a splash page with the logo of the alleged group doing the giveaway (McDonald's, WalMart &c.) Invariably this logo will be far from hi-res; this is because the logo was cribbed from a legit site and Photo-shopped. The big deal here is that there will be a "counter" on that page showing the rapidly-rising "number of cards claimed" - going up from 675 or something to 900+ before your very eyes! "ACT QUICKLY" might even be the exhortation on the page ... hoping to prompt a quick click from from some dumb cluck. NOW - refresh the page. The "counter" begins all over AGAIN at 675 or whatever! In fact, every time you hit refresh it will restart the "counter" all over again from the same point. ALMOST clever. These scams are pretty obvious to spot; now Nigeria princes's that's legit. Do You Know 2017’s New Internet Scams?